With over 20 years of experience, the IULIUS Company is the only developer and operator of mixed-use projects in Romania. 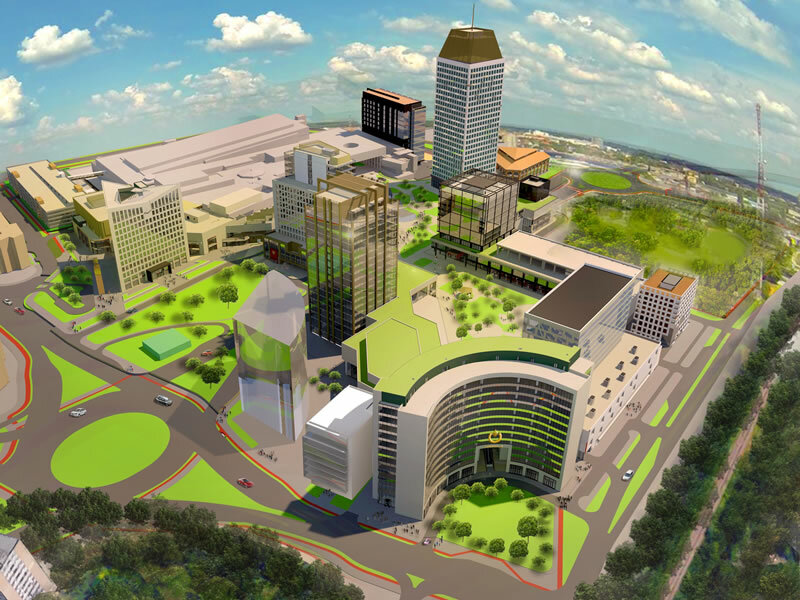 IULIUS revolutionized the local real estate market, being a visionary company that implemented premiering concepts in Romania: the first mall outside the capital city, Bucharest, and the first mixed-use urban ensemble. IULIUS developed over 260,000 sqm of retail premises and other 80,000 sqm of class A office spaces. The company projects include the PALAS IAȘI mixed-use urban ensemble, the IULIUS MALL national network and the UNITED BUSINESS CENTER office building network, which became urban and economic landmarks for the cities where they were developed. IULIUS is currently carrying out construction works for OPENVILLE TIMIŞOARA, the second mixed-use project in the company portfolio and amounting to a € 220 million investment. Due to its regional character, the tenant mix and the various leisure options, the retail projects of the IULIUS Company attract over 63 million people per year. IULIUS is a member of the International Council of Shopping Centers New York. IULIUS MALL IAŞI was opened in April 2000, at that time being the first shopping mall built outside of Bucharest and the second in Romania. Located in the heart of one of the largest Romanian university campuses, IULIUS MALL IAŞI promotes a youthful and dynamic lifestyle. Constantly evolving and responsive to the preferences of its clients, IULIUS MALL IAŞI is the favorite destination of people who wish to mix shopping with moments of relaxation in the company of friends. The main coordinates of the mall are as follows: over 180 stores, one Cinema City multiplex cinema with 5 auditoriums, one food court area, Carrefour Market supermarket, restaurants, cafés, confectioneries, casinos, bowling and billiards club, playground for children and over 1,000 parking spaces. Vitality, dynamism and style are the words that define IULIUS MALL IAŞI. IULIUS MALL TIMIŞOARA is impressive by virtue of its original architecture, the diversity of brands and the countless relaxation and entertainment opportunities. Opened in 2005 and expanded in 2009, IULIUS MALL TIMIŞOARA is the largest shopping mall outside the capital city. The mall draws millions of people every year both from the entire region and from abroad. Located in a city that takes pride in its openness towards all things new and modern, IULIUS MALL TIMIŞOARA offers its clients a lifestyle that is permanently connected to western trends: over 350 national and international brands, approximately 3,000 overground and underground parking spaces, a 1,700 seats food court, Auchan hypermarket, Cinema City multiplex cinema with 7 auditoriums, bowling and billiards club, seasonal skating rink, swimming pool, playground for children, casino, cafés and restaurants. IULIUS MALL TIMIŞOARA will be integrated in the OPENVILLE urban complex, for which the construction works were started in the autumn of 2015. Opened in 2008, IULIUS MALL SUCEAVA revolutionized the local retail market by leveraging the cultural heritage of the region and developing a comprehensive mix of shopping, dining and entertainment. The elements of modern architecture and distinctive design, along with the complete range of brands it offers, make IULIUS MALL SUCEAVA a top shopping and leisure destination. The mall comprises over 150 stores, the largest multiplex cinema in the north of the country (comprising 10 auditoriums), a food court with over 1,200 seats, a playground for children, Auchan hypermarket, Brico Depot, casino, outdoor football field, seasonal skating rink, the largest bowling and billiards club in Suceava and 1,300 places parking facility, which recommend IULIUS MALL SUCEAVA as a complex designed for the entire family. IULIUS MALL SUCEAVA is defined by enthusiasm, diversity and modernism. 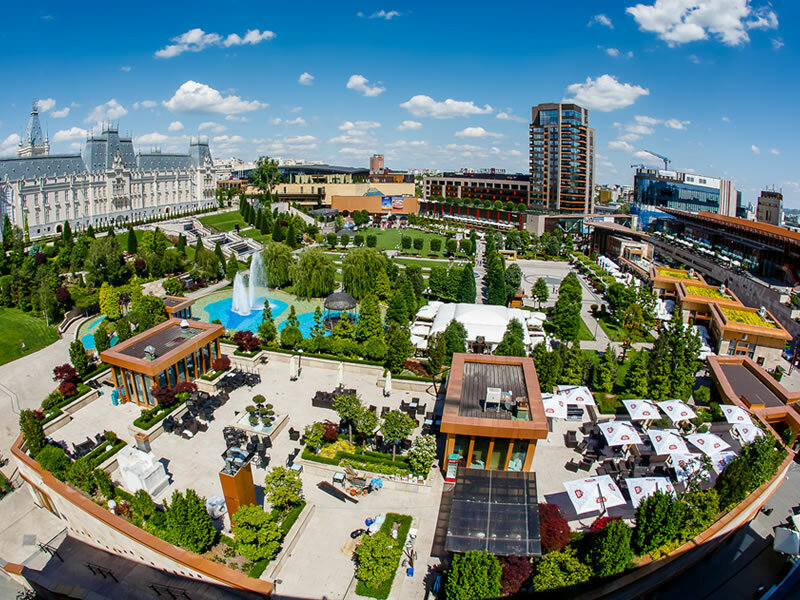 Created based on the “lifestyle center” concept and opened in 2012, the Palas Iaşi urban ensemble is the first mixed-use project developed in Romania and the largest private real estate investment outside of Bucharest, adding up to over € 265 million. The components of PALAS cater to the preferences of all the categories of public: 260 stores, restaurants and themed cafés, food court, five event halls, a park spanning on 50,000 sqm, Venetian carousel and trampolines for children, and two outdoor skating rinks. The project also includes six office buildings that accommodate over 5,000 employees. PALAS IAŞI: art, architecture, business in a cosmopolitan style. OPENVILLE continues the mission we embarked on with the opening of IULIUS MALL TIMIŞOARA, namely to change the life of the community for the better. Created based on the “lifestyle center” concept, OPENVILLE is an urban regeneration project that is set to become a landmark for the sustainable development of Timişoara. The retail component of OPENVILLE will complete the offer provided by IULIUS MALL with over 100 new stores, restaurants and themed cafés, a multiplex cinema with 15 auditoriums, a fresh market area, four event halls, the largest playground and several other leisure options. The largest share of the project goes to the office component, which comprises seven office buildings, including the tallest building in Romania (155 m and 27 floors). In addition to this, the citizens of Timișoara will also have access to the largest suspended park in Romania, a green space spanning on over 55,000 sqm, as well as to approximately 4,050 underground and multilevel parking spaces.